“Market conditions are changing. The continued rise in interest rates suggests we are in the early stages of a bond bear market, which could intensify as central banks withdraw liquidity. The receding tide of liquidity will start to reveal more rocks beyond what has been exposed in emerging markets so far, and the value of a value discipline will be in avoiding the biggest capital-destroying rocks. If a rock emerges on the crowded shore of U.S. momentum, it could result in a major liquidity challenge, as momentum is often most intense on the downside as a crowded trade reverses. So investors are facing a large potential trade-off right now: continue to bet on the current dominance of momentum and the S&P 500, or bet on change and take an active value bet in names with attractive value and optionality, but with negative momentum,” said Clearbridge Investments in its market commentary. We aren’t sure whether long-term interest rates will top 5% and value stocks outperform growth, but we follow hedge fund investor letters to understand where the markets and stocks might be going. 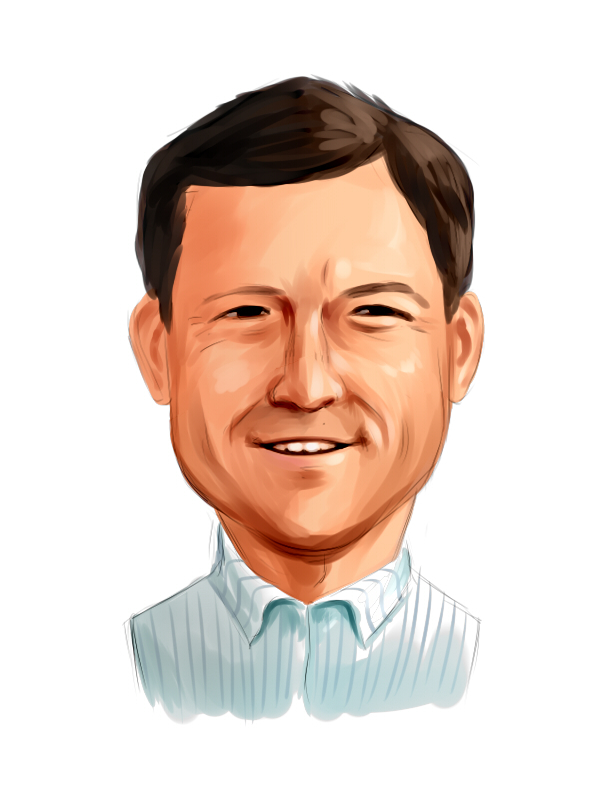 This article will lay out and discuss the hedge fund and institutional investor sentiment towards Ventas, Inc. (NYSE:VTR). Is Ventas, Inc. (NYSE:VTR) a buy, sell, or hold? Money managers are getting less bullish. The number of long hedge fund positions went down by 1 recently. Our calculations also showed that VTR isn’t among the 30 most popular stocks among hedge funds. VTR was in 14 hedge funds’ portfolios at the end of the fourth quarter of 2018. 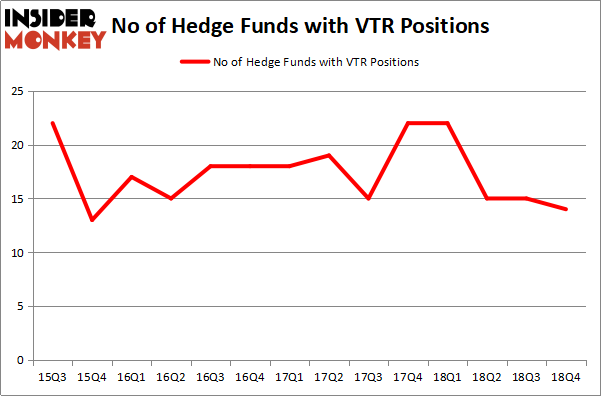 There were 15 hedge funds in our database with VTR positions at the end of the previous quarter. We’re going to take a gander at the latest hedge fund action regarding Ventas, Inc. (NYSE:VTR). How are hedge funds trading Ventas, Inc. (NYSE:VTR)? Heading into the first quarter of 2019, a total of 14 of the hedge funds tracked by Insider Monkey were long this stock, a change of -7% from the previous quarter. On the other hand, there were a total of 22 hedge funds with a bullish position in VTR a year ago. So, let’s check out which hedge funds were among the top holders of the stock and which hedge funds were making big moves. More specifically, Renaissance Technologies was the largest shareholder of Ventas, Inc. (NYSE:VTR), with a stake worth $172.7 million reported as of the end of September. Trailing Renaissance Technologies was D E Shaw, which amassed a stake valued at $47.6 million. Adage Capital Management, AQR Capital Management, and Citadel Investment Group were also very fond of the stock, giving the stock large weights in their portfolios. Judging by the fact that Ventas, Inc. (NYSE:VTR) has experienced bearish sentiment from the smart money, it’s easy to see that there were a few money managers that decided to sell off their positions entirely by the end of the third quarter. Interestingly, Israel Englander’s Millennium Management said goodbye to the largest investment of the “upper crust” of funds monitored by Insider Monkey, worth close to $44.2 million in stock, and Dmitry Balyasny’s Balyasny Asset Management was right behind this move, as the fund sold off about $14.5 million worth. These bearish behaviors are intriguing to say the least, as aggregate hedge fund interest was cut by 1 funds by the end of the third quarter. Let’s go over hedge fund activity in other stocks similar to Ventas, Inc. (NYSE:VTR). These stocks are Rogers Communications Inc. (NYSE:RCI), Eversource Energy (NYSE:ES), Concho Resources Inc. (NYSE:CXO), and Royal Caribbean Cruises Ltd. (NYSE:RCL). This group of stocks’ market caps are closest to VTR’s market cap. As you can see these stocks had an average of 30 hedge funds with bullish positions and the average amount invested in these stocks was $802 million. That figure was $285 million in VTR’s case. Royal Caribbean Cruises Ltd. (NYSE:RCL) is the most popular stock in this table. On the other hand Rogers Communications Inc. (NYSE:RCI) is the least popular one with only 13 bullish hedge fund positions. Ventas, Inc. (NYSE:VTR) is not the least popular stock in this group but hedge fund interest is still below average. This is a slightly negative signal and we’d rather spend our time researching stocks that hedge funds are piling on. Our calculations showed that top 15 most popular stocks among hedge funds returned 19.7% through March 15th and outperformed the S&P 500 ETF (SPY) by 6.6 percentage points. Unfortunately VTR wasn’t in this group. Hedge funds that bet on VTR were disappointed as the stock returned 6.8% and underperformed the market. If you are interested in investing in large cap stocks, you should check out the top 15 hedge fund stocks as 13 of these outperformed the market. Is IQVIA Holdings, Inc. (IQV) A Good Stock To Buy? Were Hedge Funds Right About Souring On Canon Inc. (NYSE:CAJ)? Here is What Hedge Funds Think About BT Group plc (BT) Here is What Hedge Funds Think About AutoZone Inc. (AZO) Hedge Funds Dropped The Ball On Fortive Corporation (FTV) Were Hedge Funds Right About Flocking Into Sempra Energy (SRE)?